Bath coach Steve Meehan began his coaching career in his native Queensland in 1999 working in various positions including a stint as Queensland Reds Under 19 selector. 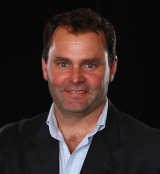 Meehan transferred his skills to the northern hemisphere in July 2002 when he worked as assistant coach at Stade Francais alongside first Nick Mallett and then Fabien Galthie. During his time in Paris, Stade reached the Top 14 final three years running, winning in 2003 and 2004, and losing in extra time to Biarritz 2005. Also in 2005 Stade lost out to Toulouse in the final of the Heineken Cup. Meehan joined Bath as backs coach in 2006 and was almost immediately promoted to the role of head coach after a mass exodus, including Brian Ashton's promotion to the England coaching job. In 2008 he led the side to their first silverware since the 1998 Heineken Cup, winning the European Challenge Cup. In October 2009, Meehan signed a contract extension, to keep him at Bath until 2012. Meehan was joined at the club by former Wasps and British & Irish Lions coach Ian McGeechan after the Scot agreed to become Bath's new performance director in June 2010. But following a season where Meehan found himself increasingly marginalised following the introduction of McGeechan, the Australian left the Rec at the end of the 2010-11 season.